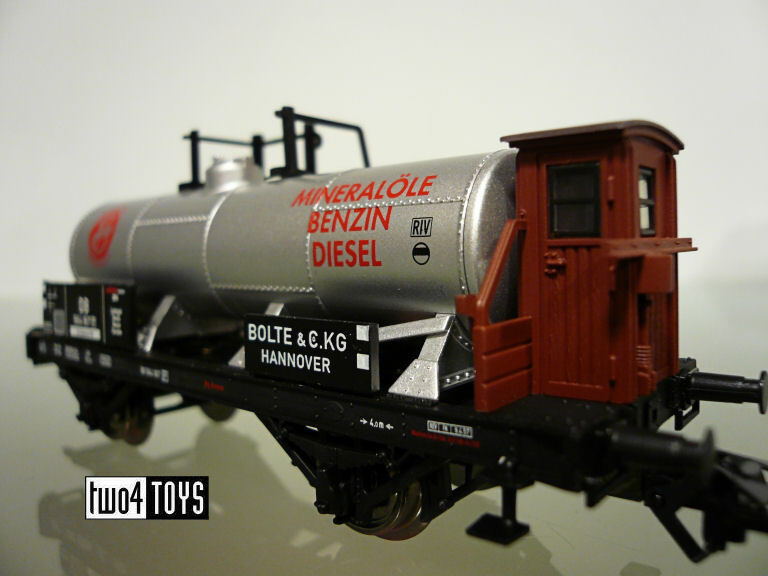 Prototype: Two-axle, old-timer Bavarian design tank car, with a brakeman's cab. 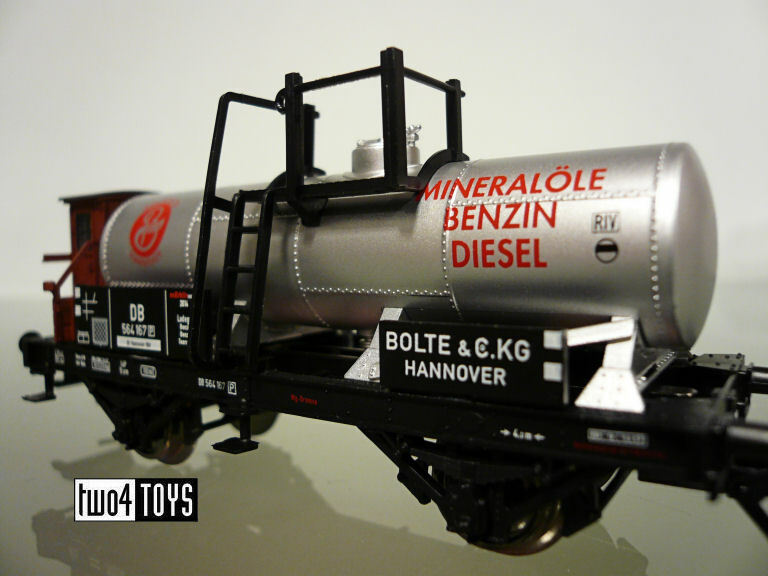 Privately owned car painted and lettered for the firm Bolte & Co. KG, Hannover, Germany, used on the German Federal Railroad (DB). The car looks as it did about the end of the Fifties. 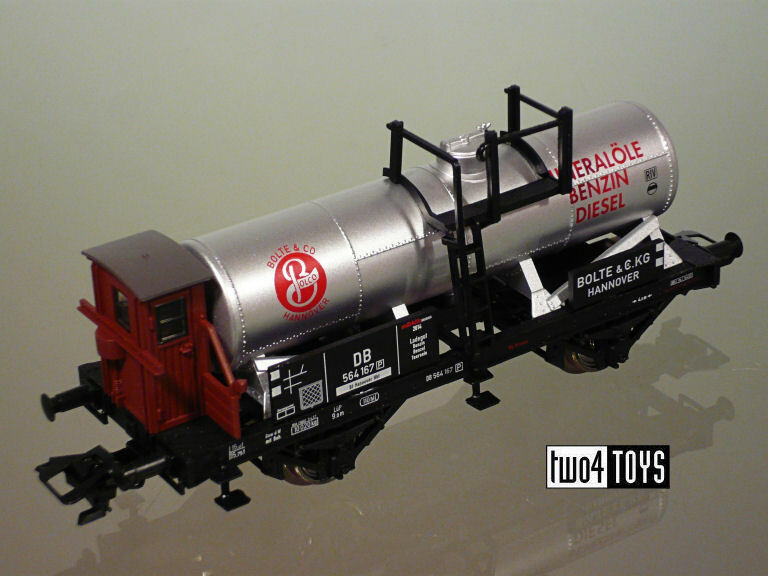 Model: The car is a version with a brakeman's cab. 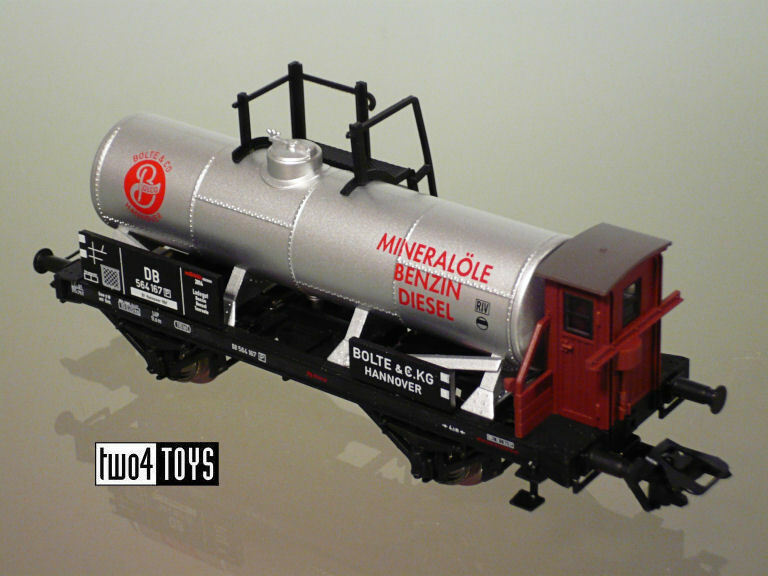 The car has numerous separately applied details. Length over the buffers 10.4 cm / 4-1/8". DC wheel set 2 x 32376004. 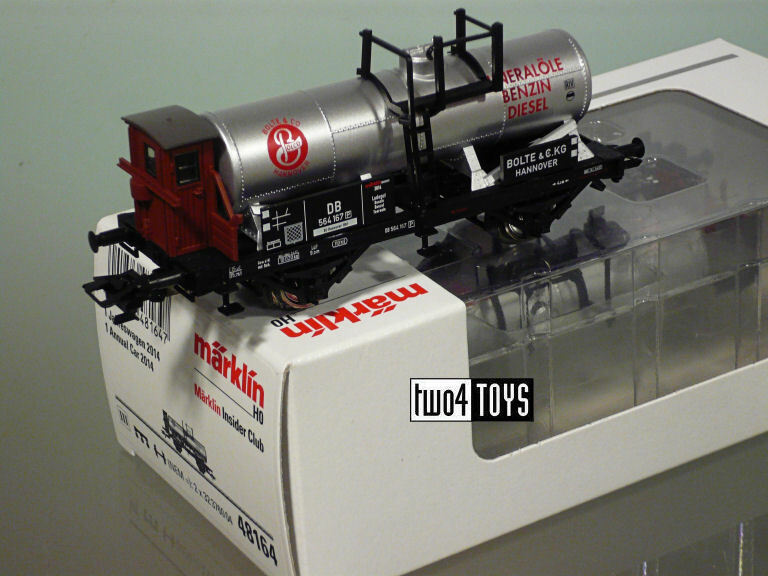 One-time series in 2014 only for Marklin Insider Club members!